Frost hardened ground and biting Siberian winds greeted 16 members at Frimley Lodge which was a surprise after all the recent rain. 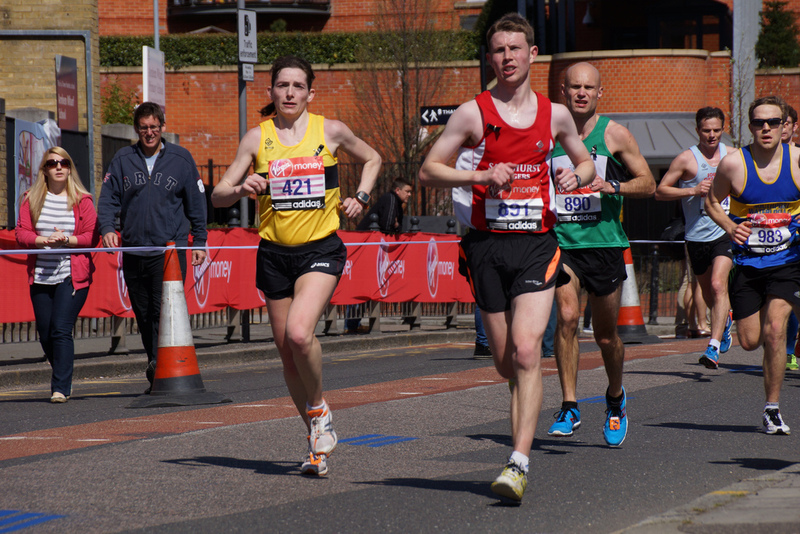 Jane Pond had a great run to record an outright PB of 32:34. Jackie Kent bagged a course Record on her 4th run at Frimley Lodge and Royston Crandley pulled a Season’s best out of the bag. Janet Venables claimed 1st position in her category while Max Woods and Simon Whillis claimed 2nd in their respective categories and Anne Whillis completed the podium collection with 3rd in hers. More milestone celebrations at Bracknell as Ian Watson celebrated his 50th parkrun. Lots of category podiums again with Kate Parker topping her category, Martin Steadman 2nd in the VM50-54 class, Patrick Wadsworth and Ian Watson 2nd and 3rd in the VM55-59s and a 3rd place finish for Teresa Milroy. Over at Queen’s Parade both Sarah and Paul Alexander celebrated Season’s Bests at Rushmoor parkrun. Covering the locals and regular parkrun tourists first; John Tovell ran at Crane Park, Andy Summerskill at Houghton Hall and Sharon Conquer was Tailwalker at Northampton. Stuart Overhill and Chris Szabo-Hemmings sampled the recently launched Brooklands parkrun near Woking while George and Jon Green nipped up to Higginson Park, Marlow to enjoy a great run down the Thames at this young event. Further afield, Neil Praine recorded his highest ever finishing position as he took 2nd, just 7 seconds behind 1st at Newent parkrun, Forest of Dean. Mark and Nikki Fallowfield-Smith travelled to the very scenic Lullingstone parkrun in Kent where Nikki was 1st female finisher and Mark 5th male. Mark Neve headed north to Selby in Yorkshire. The biggest trip was made by Wayne Boardman as he became the third and fastest SJ to complete East Coast Park parkrun in Singapore. Later at Dinton Pastures saw 100s of red suited runners circles the lakes as the Santa Dash took place. Adam Dart was a speedy Santa covering the 5km course in 19:40 to finish first. We also had Kieran Cooper in 6th position while Lou Gubb and Fiona Marshall took or more relaxed approach jingling all the way! Later on Saturday Charles St Aubyn took part in the Thames Hare & Hounds Alumni XC race on an 8km course around Wimbledon Common. More festive fun at the Frimley Jingle Jog, where horads of runners in fancy dress started on Frimley Green then headed South West before joining the Basingstoke Canal and returning to the finish at Frimley Lodge Park. Lots of SJs in action including Angela Foker, Michelle Wilson, Louise Heginbotham, Yvette Glacken, Alurie Dutton, Becky Perry, Beki Christian, Viya Berridge, Nicola Coe and Celeste Moruzzi. Wellington College hosted the Muddy Welly on a 5k course around the grounds. There was a big turnout of SJs both running and marshalling. The SJ results below don’t include Stuart Holbrook and Alison Jones who finished in 54:00 and 57:02 respectively. More great runs in the 5k event in particular from Hannah Maw who finished as first female and a very impressive 6th overall. Monday: Patrick Wadsworth will be leading a special Monday night run from Sandhurst Sports Centre at 7:30pm. The run will be going to see the Christmas Lights so make sure to bring a torch as we will be running over Sandhurst Meadows. There will be a run on Christmas Eve but no official run on NYE. However, feel free to turn up and see who else fancies an evening run. The car park may be closed on both nights so please park respectfully in the nearby roads. Tuesday Club Run: The biggest club run of the week will as always offer multiple groups to cater for all abilities from beginners through to faster and more experienced runners. It’s perfect for novices and those coming back from injury or a long lay-off because you can start with an easy group and work your way upwards. The start time is 6:30pm as always this week from the regular start at Sandhurst Memorial Park. No official runs on Christmas Day and New Years Day, resuming on Tuesday 8th January. Wednesday: Variety is the spice of life and the Wednesday crew have some surprises for you this week with a mixture of great routes and some fartlek style efforts. Join them at Sandhurst Memorial Park at 7pm. There will also be run options for those that graduated from the 10k and 10 mile courses to ease you into the regular run. There will be no run on Boxing Day and the Wednesday run will resume on Wednesday 2nd January 2019. Thursday: This week the threshold/improvers run will be on the Golden Retriever route. Meet at Sandhurst Sports Centre at 7:30pm and don’t forget lights and high vis clothing. The run is a great way to improve fitness by running as a group at a slightly harder intensity. There is a shorter route available and a sweeper so nobody gets left behind. There is no official run on Thursday 27th December and the car park will be closed but keep an eye on Facebook for any members looking for a post-Christmas run. Back to normal on Thursday 3rd January 2019. Sunday: Our annual mince pie run will take place as part of the Lookout run on Sunday 30 December. Please meet at the Lookout at 8.55am for a 9am start. As usual we will run for around 1 hour to 1.5 hours and then re-group afterwards to enjoy a mince pie or two or a bit of cake. This is a good chance to burn off some of the Christmas calories, but if you would just prefer to join for the mince pie part only, then please meet at the cafe for around 10:30am.